PARIS -- Western European car sales fell 3.7 percent in March as a recovery from emissions-test bottlenecks proved short-lived, LMC Automotive data showed. "March represented a setback for the region," LMC analyst David Oakley said. Registrations had previously been picking up following chaotic implementation of new Worldwide harmonized Light vehicle Testing Procedure (WLTP) that led to some key models being withheld from sale into late 2018. The seasonally adjusted annualized rate (SAAR) of Western European sales also fell 5.8 percent from February to 14.06 million cars last month. Uncertainty over the terms and timing of Britain's departure from the European Union weighed on UK sales, down 3.4 percent as would-be car buyers waited for clarity, Oakley said. The data suggested that "if there is an orderly resolution to the current Brexit impasse, there is the potential for the UK market to recover as the year goes on," he added. 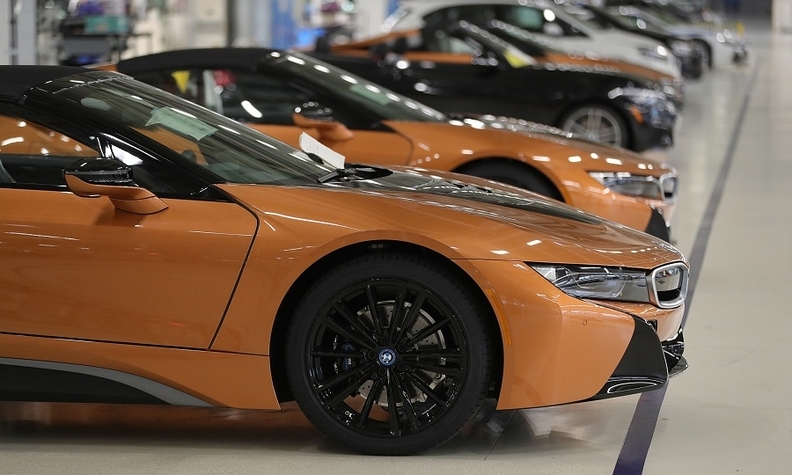 March registrations fell 0.5 percent in Germany, 2.3 percent in France, 3.4 percent in the UK, 9.6 percent in Italy and 4.3 percent in Spain, according to data published in recent days.